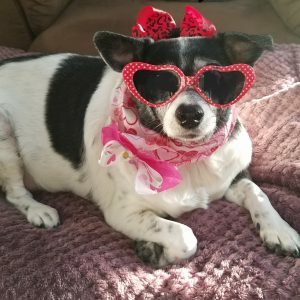 Minniebelle loves you already & she’s only met you through a picture! 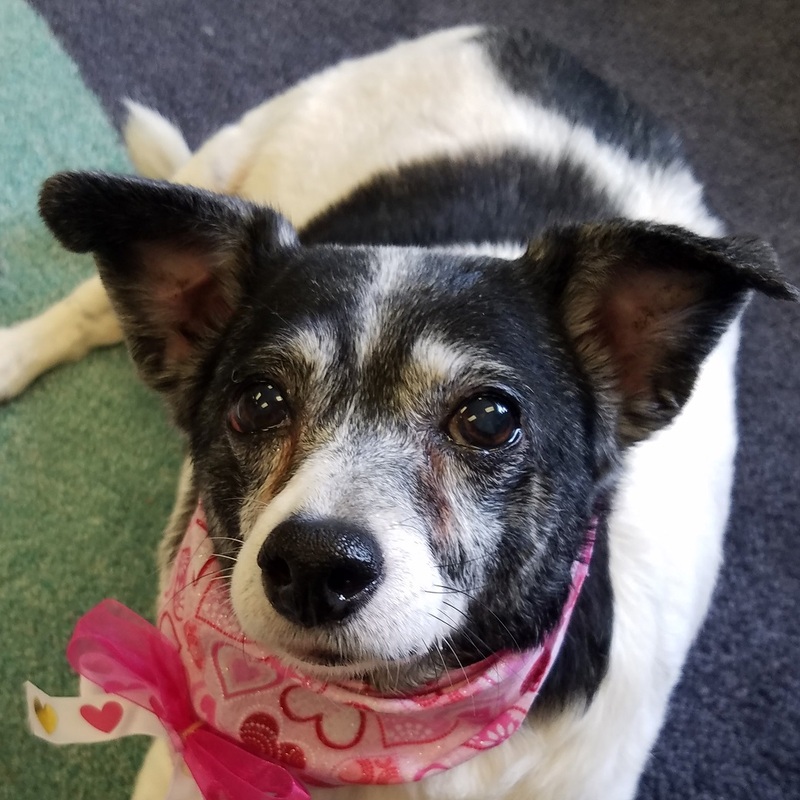 This sweet, gentle senior is seeking a forever home to give her the love and devotion she deserves in her golden years. 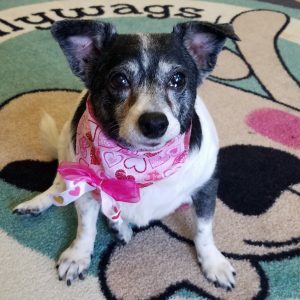 This 11 year old Terrier/Chihuahua mix has never met a stranger! 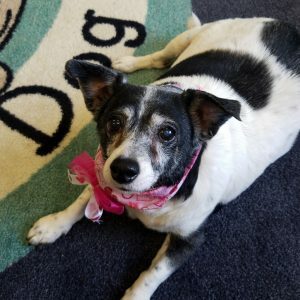 Minnie LOVES people and gets along very well with other low energy dogs.Kitties and other small pets are even welcomed by this easy going sweetheart. Minniebelle loves to snuggle! She will happily accompany you throughout the day or quietly snooze away in her bed. Not only is she sweet, she even likes to be a “helper”! She will patiently wait by the door to let you know when she needs to go out. But because she is a senior and is currently on a diuretic, sometimes she can’t wait for you to catch her cue. Minnie was previously trained using pee pads and if she can’t get outdoors, she will use one. When she is finished, she drags it to a corner and crumple it up, essentially cleaning up her own mess! 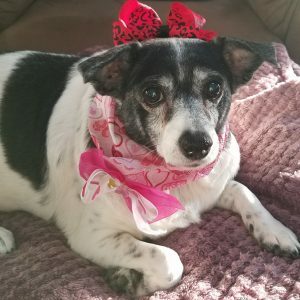 Minniebelle is currently working on her weight loss and takes medications for needs typical of seniors. 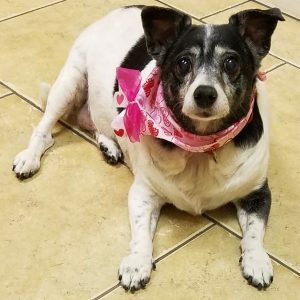 Minnie will need to continue her diet in a new home. Minniebelle is an absolute delight and will make a wonderful companion!